Eco Camp and The Secret Campsite are now working together. 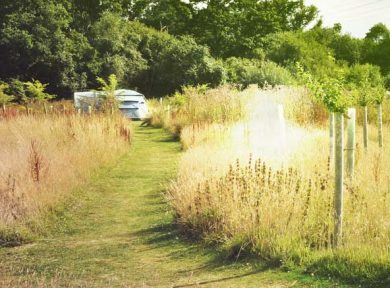 We launched our first campsite over 8 years ago with the purpose of providing real campers and wild glampers with uncompromising access to Nature, Peace and Space. We coupled this with the chance for them to enjoy a campfire with their family, or a small group of friends and this approach has proved incredibly popular. We love what we have created so far, so nothing will change at our sites. But, watch this space for new secret campsites as we find other like minded landowners, in beautiful locations who share our passion for wildlife. A quiet sense of discovery awaits as you enter our campsites. Our pitches are huge and incredibly well spaced, so they can accommodate most sized tents, with larger pitches which easily fit up to a small circus marquee. 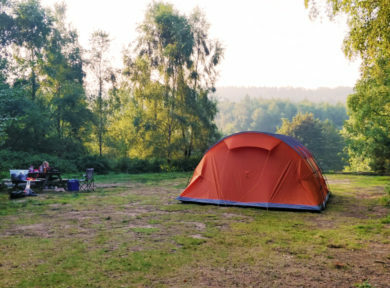 Each pitch is surrounded by trees and vegetation that’s left to grow wild, which provides seclusion and the space to enjoy a campfire and the company of your small group and the odd uninvited guest fluttering by.